These rustic candle Paddle Wall Sconce, are the perfect complement to your Camp or Lodge. 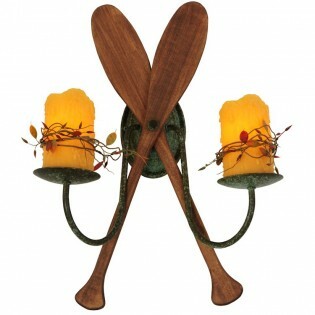 Hand made in the USA. 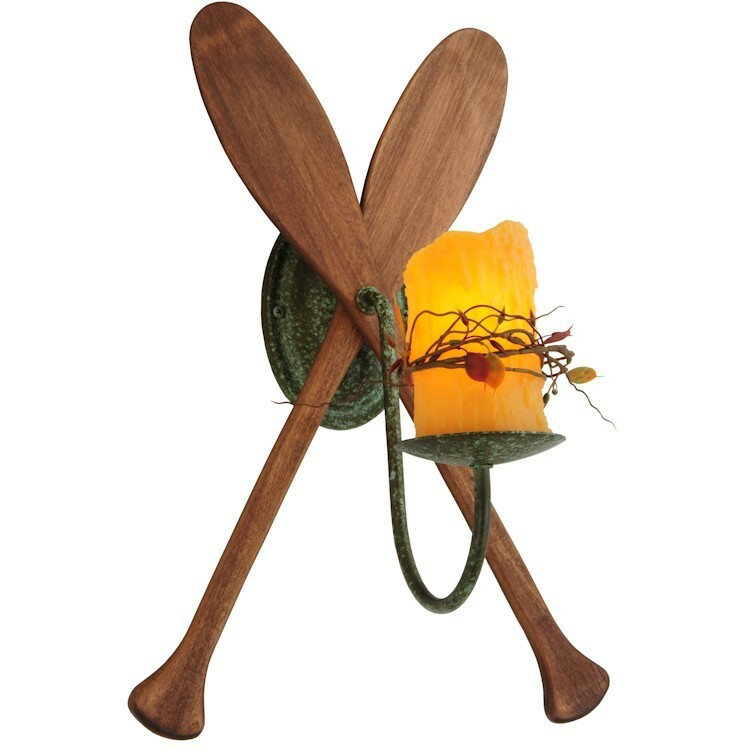 These rustic candle Paddle Wall Sconce, are the perfect complement to your Camp or Lodge. 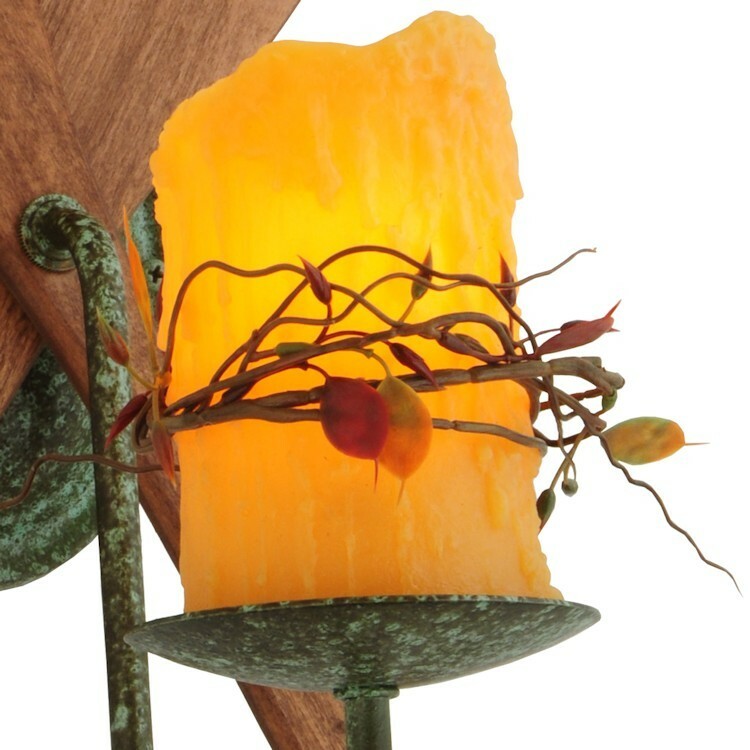 Hand made in the USA, these charming light fixtures are finished in Tarnished Copper and feature a twig wrapped simulated dripping wax candle column.